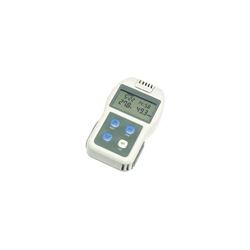 Manufacturer of a wide range of products which include c015 series non-contact type roller surface thermocouples, mc1000 series handheld digital thermometer, mf1000 series digital thermometer for foods, hn-ch series palm-sized temperature humidity meters and resistance temperature detector r060 chino. 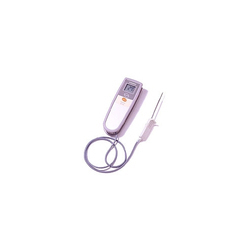 MC1000 is handheld digital thermometer having easy-to-read large LCD display and lighter in weight. 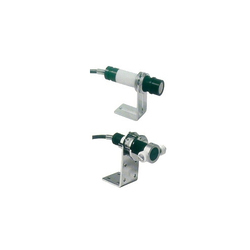 Temperature probes having variety of shapes and sized enable you to select a suitable one on you application demand. 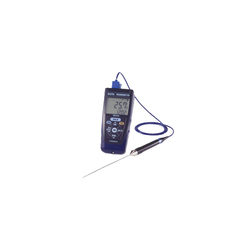 The portable thermometer Model MF1000 is combined with a needle type sensor for measurement of internal temperature of foods or liquid temperature.The indicator and the sensor grip with anti-bacteria surface housing are washable (IP67 - waterproof and dustproof).The thermometer designed to use in food processing fields is recommended to use for temperature monitoring in HACCP. Conforms to IP67 (dustproof and waterproof) and washable. Anti-bacteria ABS resin housing fits in your safety program. 500 hours working with auto-power-off function built in. The HN-CH series is reliable and accurate palm-sized temperature/ humidity meter with the measuring humidity range of 0 to 100%RH by using a new developed humidity sensor.It also provides the data logging function capable to store each 8000 readings of temperature and humidity into memory. 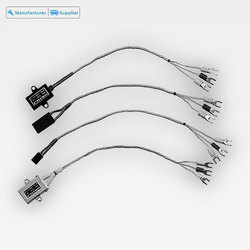 Excellent reproducibility and reliability by capacitance type humidity sensor. Humidity sensor with quick response in 15 seconds. Easy maintenance by complete interchangeable sensors. Data logging function capable to store each 8000 readings of temperature and humidity into memory. With RS-232C or RS-485 communications interface. Power supply of AA alkaline batteries or through AC adapter. Functions High/low alarm, totalizing reference temperature/totalizing direction, logging repetition, auto-power-off, etc. Having a platinum resistance therometer element as a sensing element for measurement of surface temperature of stationary objects.